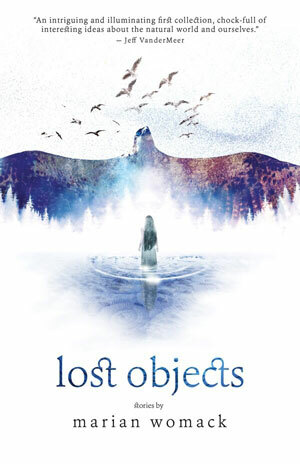 A conversation with Marian Womack, author of Lost Objects. The Atlantic hurricane season has proven to be deadly once again in 2018. Our hearts go out to those who lost loved ones during and in the aftermath of Hurricane Florence. In an age of climate change, storms like Florence are stronger and more unpredictable than ever. Scientists continue to analyze exactly how humans affect the natural world, but as this column has showed, they’re not the only ones looking for answers. Artists and writers like Marian Womack are also examining this relationship. In her short story collection Lost Objects, Womack brings readers into the near future, to a time when climate change has further wrecked the Earth and humans have been forced to reimagine what civilization can and should look like. Her writing, which some readers have called “weird fiction,” is rife with potent imagery that throws into question the very idea of what it means to be human. In this interview, Womack discusses her new collection, her thoughts on what characterizes climate fiction, and why dreams and memories are useful tools for understanding life in the Anthropocene. Amy Brady: In the “About the Author” section of your collection, you write that your main literary interest is “the fiction of the Anthropocene.” How would you characterize this kind of fiction? Marian Womack: In some senses, writing about the Anthropocene is, or should be, like a fish writing about water. There was a discussion thread on Twitter a few weeks back, run by William Gibson, in which he suggested that all fiction currently being produced that takes at least a glancing interest in the world in which we live sees the balance of our current environment as under assault from human action. This, I think, is undeniable – both that we are having an effect, and that we should be writing about it as a matter of urgency. The fiction of the Anthropocene, from precursors such as J.G. Ballard to contemporaries such as Jeff VanderMeer or Gibson himself, is aware that mankind as a species is committing a slow and ever-more inexorable suicide. But with that taken on board, the approaches to this fact of our lives are fascinatingly varied. Is there room for hope? Yes, because humans are hopeful animals, but the best fiction of the Anthropocene offers us an unblinkered view of a future in which we will not be able to think our way out of the problems that we ourselves have created. Amy Brady: You’ve worked extensively with Ann and Jeff VanderMeer as a translator of weird fiction. Jeff himself has been called the “weird” Thoreau. Would you characterize your short stories as “weird”? Marian Womack: Well, I’m currently writing a part of my PhD on aspects of the Weird, so the question of a definition of the term has been on my mind for a while. I still think that the idea of the Weird that has been current since Lovecraft’s day is valid: that the Weird is best understood as fiction which might on the surface seem to be realist, but which reveals at moments of stress and crisis that there is Something, an “Other behind the curtain,” that displays itself as entirely incomprehensible and alien; it’s a view of the world in which humankind is seen as very small, very vulnerable, and at the same time arrogant in its pretensions. Amy Brady: Several stories in Lost Objects depict surprising, sometimes disturbing, but always fascinating relationships between humans and non-human life. Do you think about these relationships beyond what you write about in your fiction? Marian Womack: Yes, but not in any programmatic, necessarily coherent way. I think that if I were to sit down and write an essay about my relationship to the non-human, it would take in vast swathes of my life, from being raised as a Catholic in the south of Spain (don’t get me started on Catholic environmentalism, or the Catholic view of the non-human world) to my constant desire, perpetually unfulfilled, to escape from living in cities and move to a less human environment, to my two cats and the ways in which their non-human natures have been moulded and warped by years of living in a human family … I think about it a lot, but I try to organize my ideas and maybe only display them partially in my fiction: it’s such a vast topic that to try to establish in toto what and how I think about it would be a huge and possibly contradictory undertaking. Amy Brady: Without giving too much away, let me say that relation between human and animal in “Orange Dogs” was one of the most moving and upsetting I’ve read in ages. What inspired this story? Marian Womack: “Orange Dogs” was a story I wrote a while before going to the Clarion Workshop in 2014, so I was probably thinking about it, and putting it into order, in 2012, when my son was born. So the ideas of maternity, and of parenthood in general, that infuse the story, perhaps derive from my experiences at that time. I think that the main emotions of a young parent – I’ve asked my husband and he feels the same – are fear and love in almost equal quantities, and this story was a way of embodying that odd complex of feelings. It’s one of the few stories I’ve written in which the love outweighs the fear. Amy Brady: Let’s discuss “Love(Ghost)Story.” This is a short, slip of a story, only two pages long, but it’s quite powerful. Why include this story, which is about human connection that lasts beyond death, in a collection that focuses so prominently on climate change, animal extinction, and other ecological tragedies? Marian Womack: We live in a world of ghosts. We can react to this in a number of ways, but the essential fact is that life is limited and fading, and we are both responsible for this and insufficiently respectful of it. G.K. Chesterton, who in many ways was a rather blunt and reactionary thinker, has a quote that I find useful: “Tradition means giving a vote to most obscure of all classes, our ancestors. It is the democracy of the dead.” Of course, Chesterton then goes on to use this to attempt to justify a number of positions I don’t feel happy with, but the basic truth of this as I read it stands: we need to give the ghosts a voice. We are being forced into the position of being custodians of a past that we are responsible for losing, and we need to do better than we have until now. So, “Love(Ghost)Story” is another way of approaching my usual argument, that we are in the loss business, and that confers a lot of responsibilities on us. Amy Brady: Memories, dreams, hallucinations and other artifacts of the mind are powerful components of your stories. Many of your characters get lost in them, sometimes confusing them with reality. As I read, I felt at a gut level that these alternate states of mind are somehow key to understanding life in the age of climate change. I suppose all this is more of an observation than a question. What is it about these memories, visions, etc., that inspired you to include them in your fiction? Marian Womack: It’s the double consciousness, isn’t it? I mean, how can you get up in the morning, go to work, carry out your daily routines, when you know that over the next fifty or sixty years life will have fallen even further down the unstoppable slide towards extinction? I think I use dreams and other such “artifacts of the mind” (great phrase, thank you!) as a way of dramatizing the essential split we have to live with, and live within. Dreams are an escape, or a warning, another version of whatever our current prison is. Amy Brady: Finally, what’s next for you? Marian Womack: Well, writing, of course. I’m currently finishing a novel, a detective story that incorporates elements of the supernatural and of fairy: it’s an attempt to bring the Weird into another literary environment. And then, all eyes on the future: I have another novel that I’m starting (I like to overlap projects, it appears), which deals with Andalusia, where I was born, and space travel and friendship and mutated animals. It’s going to be wonderful (all writers know that the unwritten book is always more wonderful than anything else). Marian Womack is a bilingual writer. 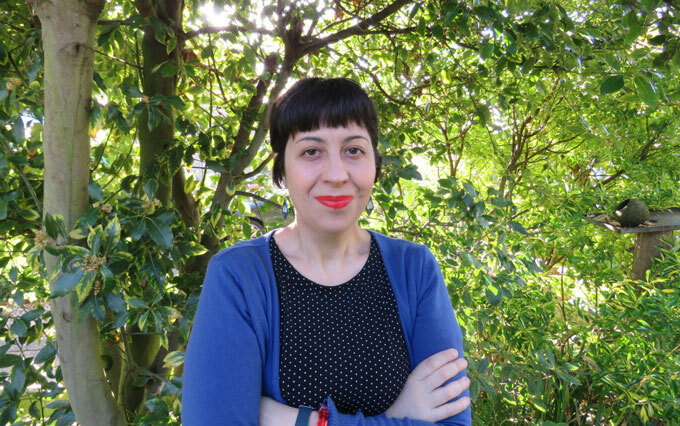 Her writing is concerned with loss, nostalgia and nature, and her doctoral research explores the connections between the Gothic, the Weird and ecological fiction. Her fiction in English has appeared in LossLit, Weird Fiction Review, SuperSonic, Apex, and the anthologies The Year’s Best Weird Fiction, vol. 3 and EcoPunk! Speculative Tales of Radical Futures. She has also been translated into Italian and has written for video games. Lost Objects, a collection of tales about ghosts, loss and landscape, is now available from Luna Press Publishing.